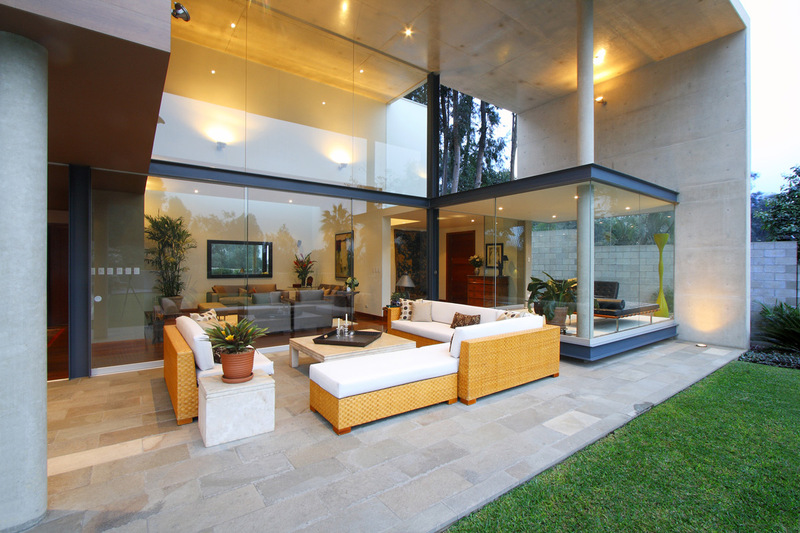 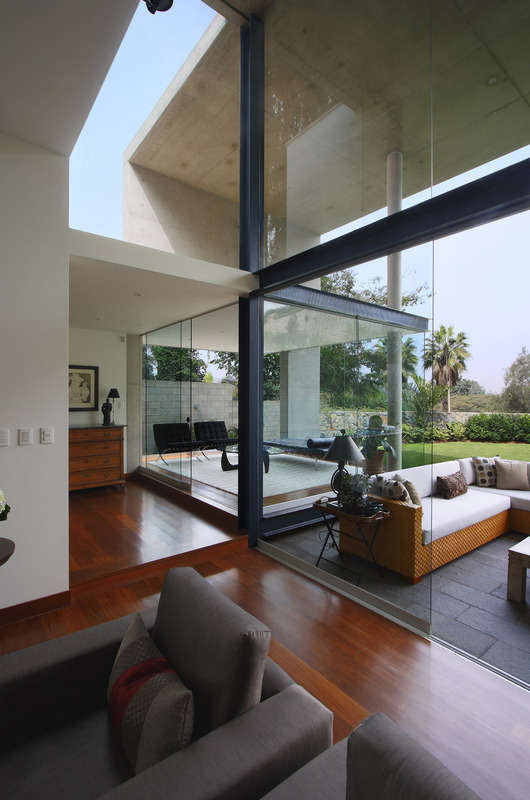 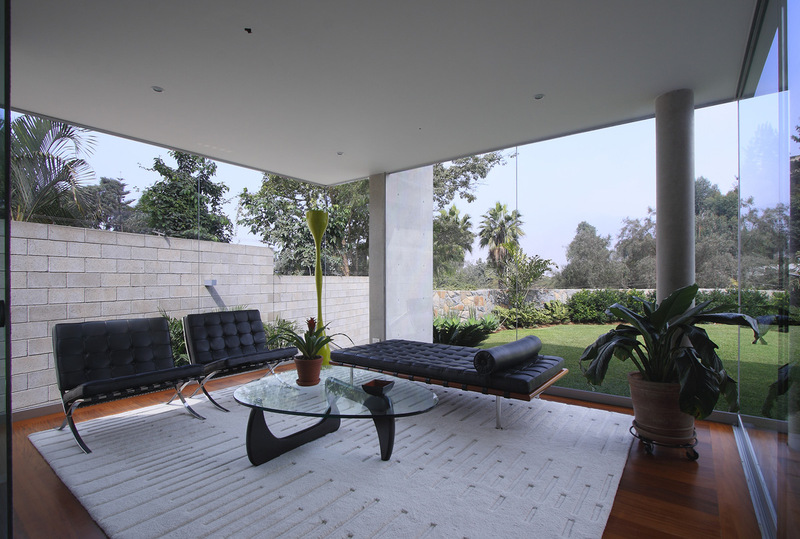 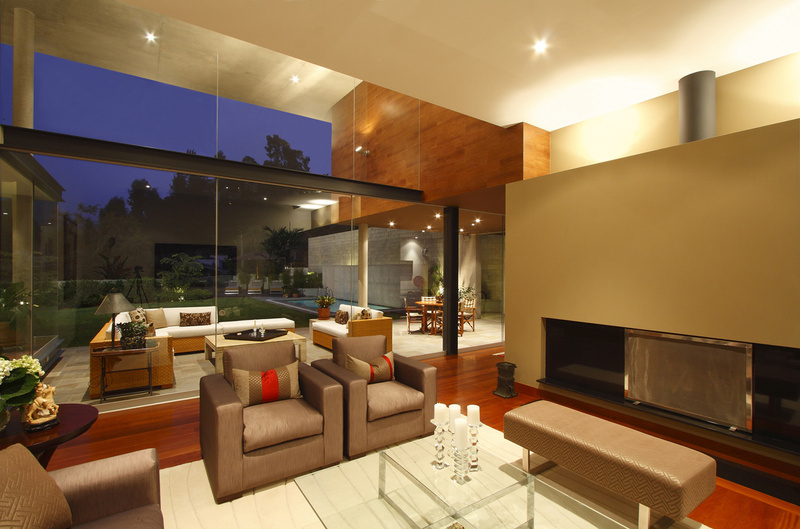 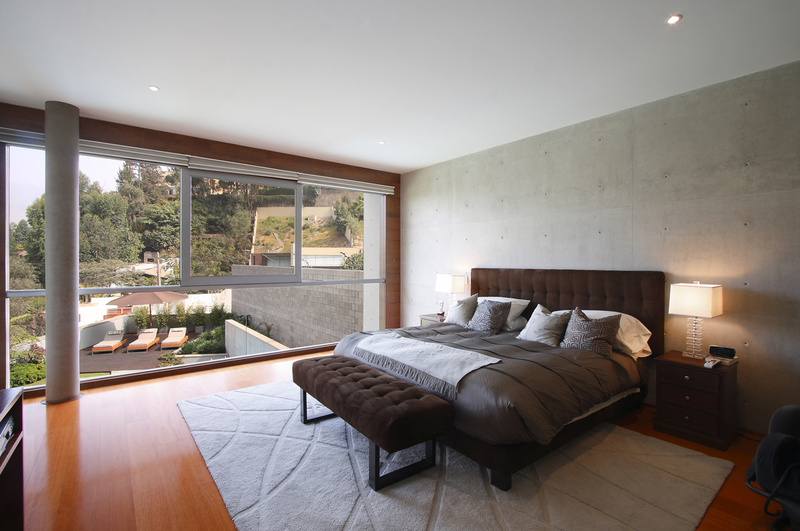 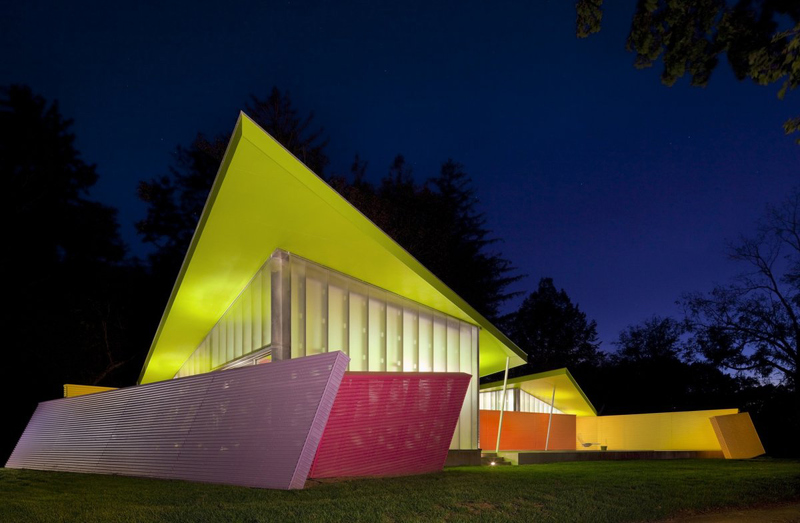 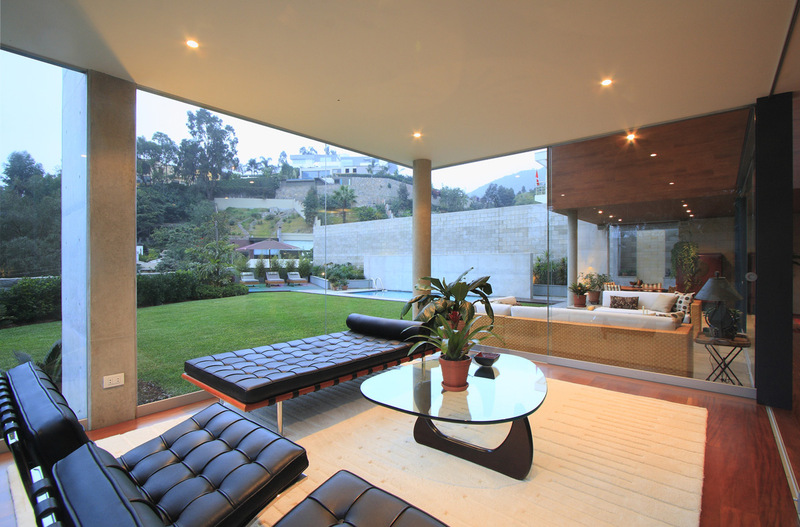 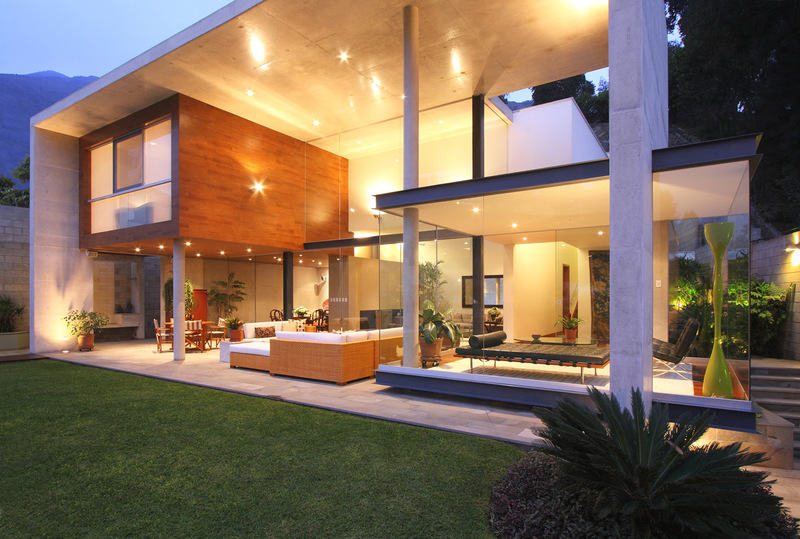 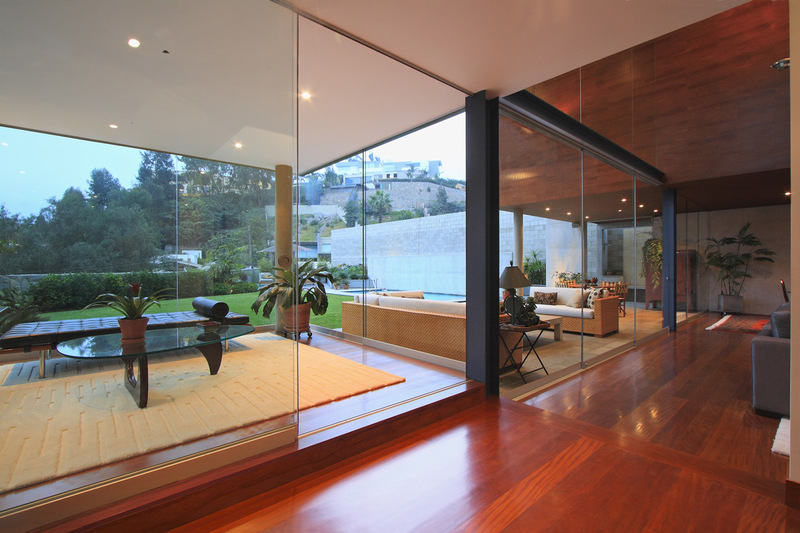 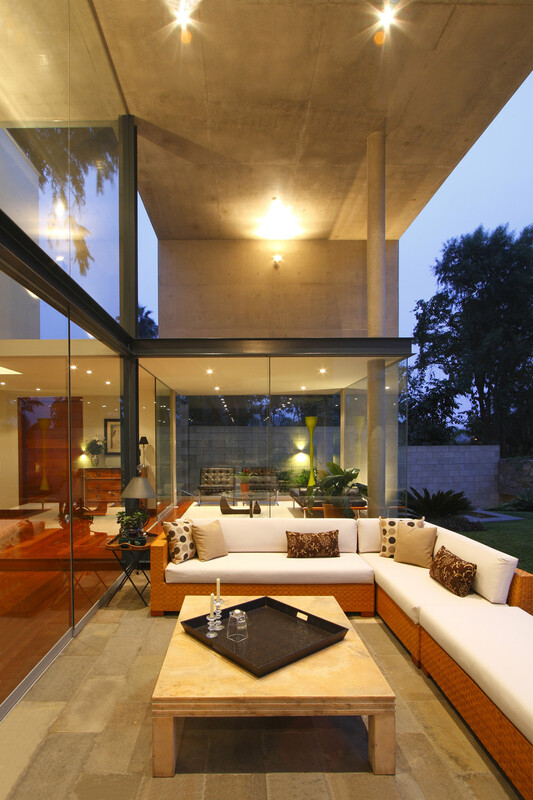 The S House was completed in 2007 by the Lima based studio Domenack Architects. 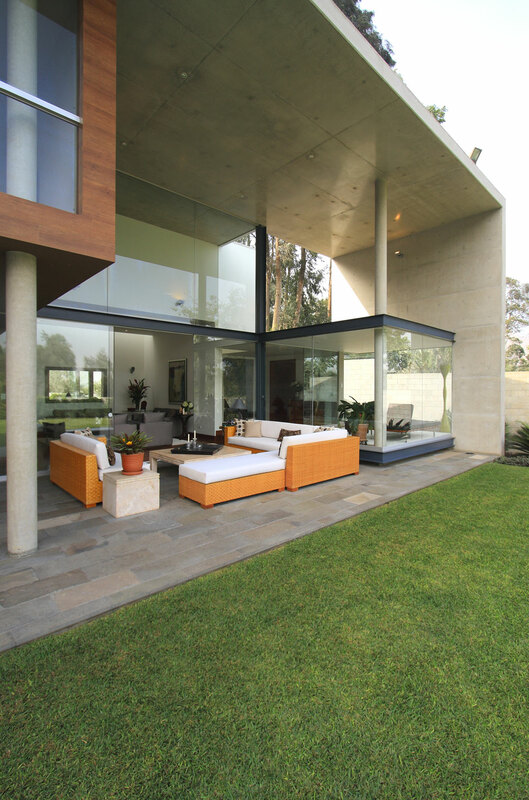 This 5,382 square foot contemporary residence is structured over three levels and has been designed to meet the functional needs of a family. 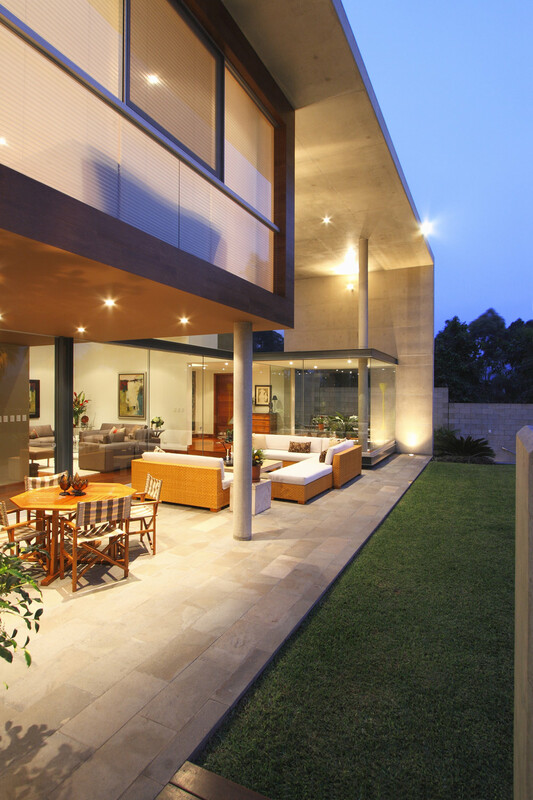 The garden, pool and social areas are located on the first level, the private areas are on the second and third levels. 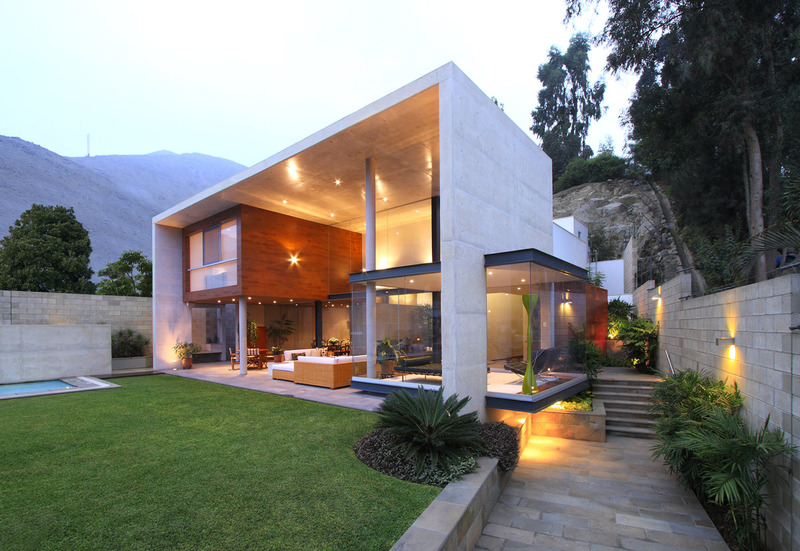 The S House is located in Lima, Peru. 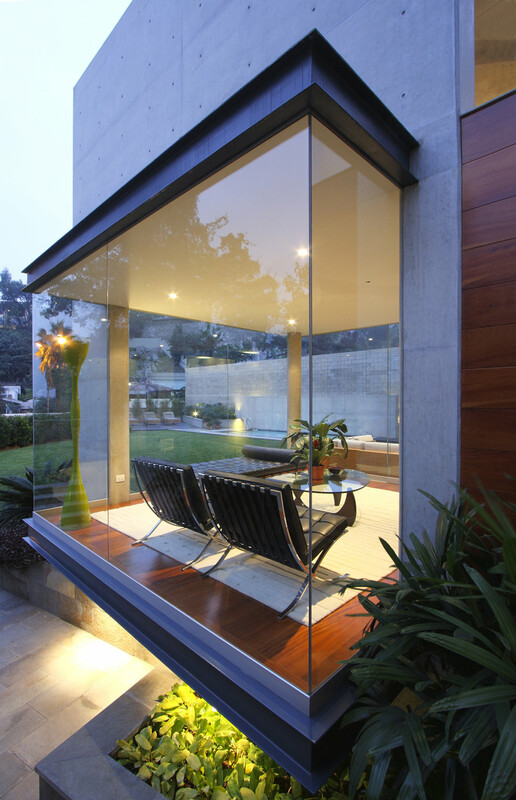 The design of the house is planned over an existing natural platform located 3m above street level. 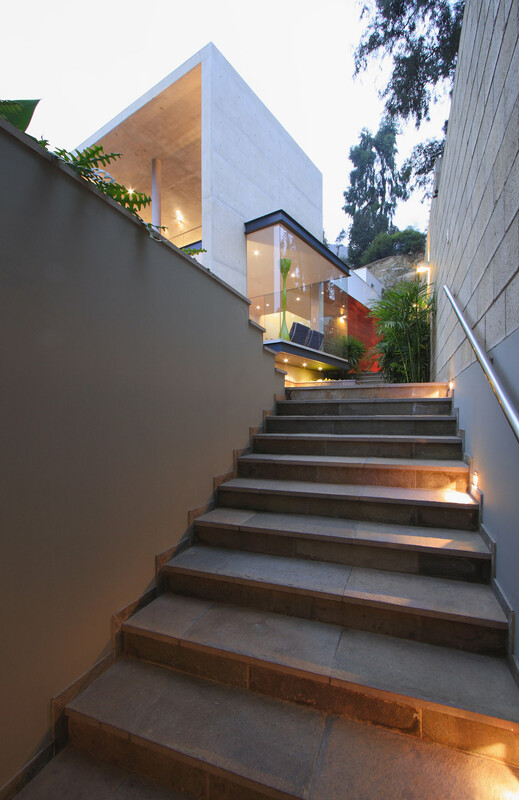 This decision allowed locating only the parking and service areas at street level, while the rest of the program is located above the natural platform. 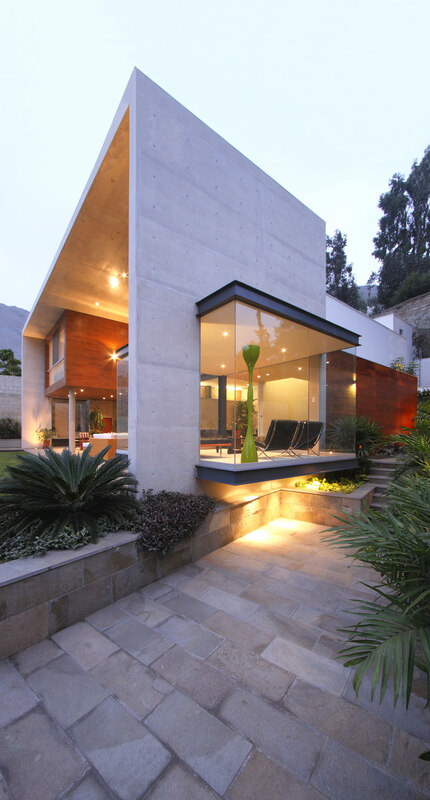 The house is developed in 3 levels, following the rocky ascending topography of the plot. 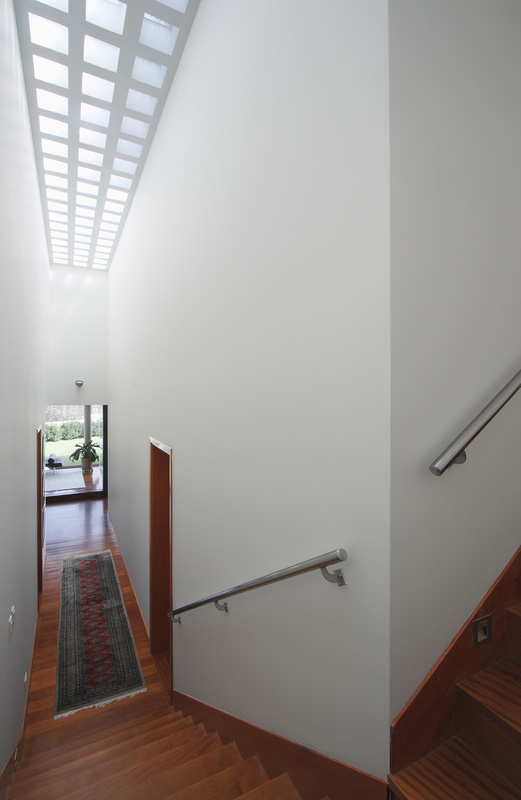 The functional and spatial distribution derives from the customs and needs of the clients. 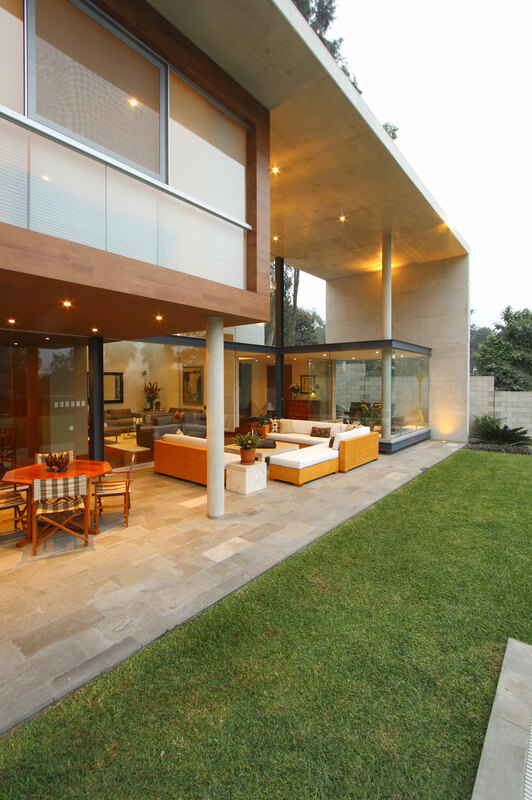 The main garden, pool and social areas are located in the first level, while the private areas are located in the second and third levels. 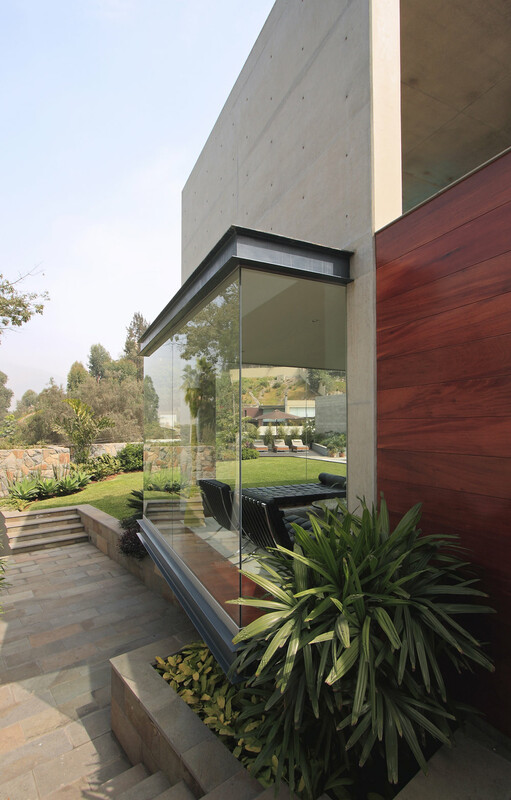 The project´s elevated position allows taking advantage of the views of the golf course, located to the south of the plot, from the social and master bedroom areas. 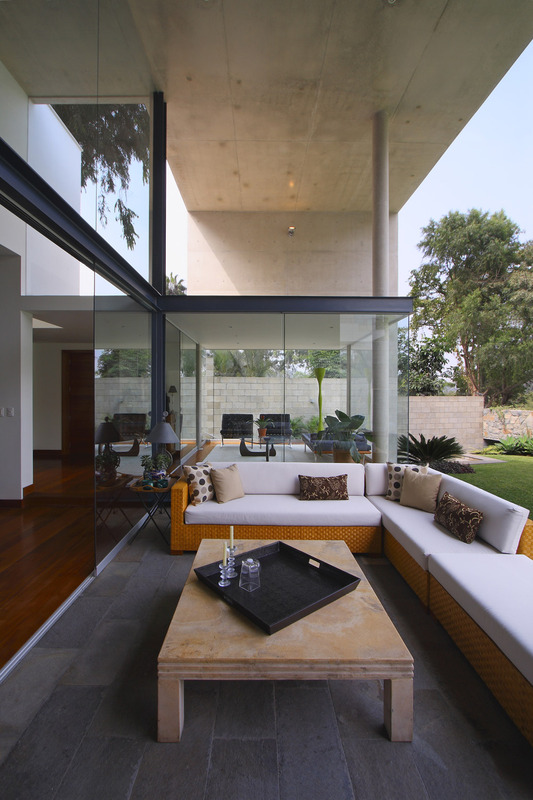 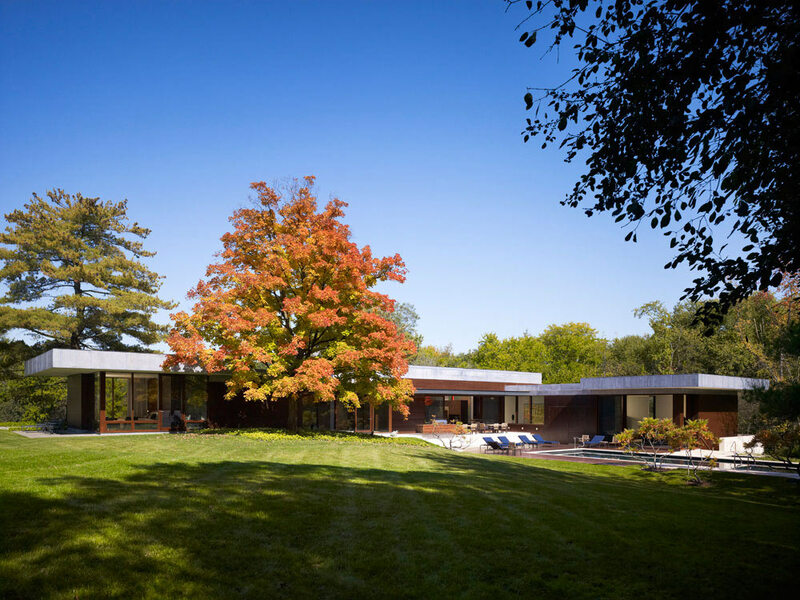 The rest of the house enjoys different views and scenarios of the surrounding natural environment, through patios, gardens and platforms generated by following the ascending topography. 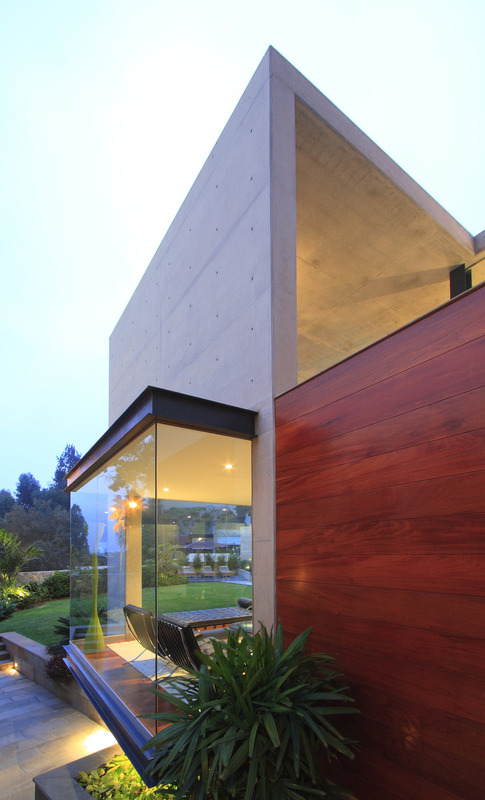 The design of the house promotes adequate ventilation, lighting and thermal control in order to reduce energy consumption.